On Saturday, December 15, the Church will hold its annual Christmas Fair and Bake Sale from 9 AM to 2 PM at the Grange Hall in E. Andover. We hope to see many of you there. The next “Second Saturdays for Guys” (men’s breakfast) will be on Saturday, December 8. It begins at 8 AM in the Grange Hall and is open to all men at no charge for the delicious meal. It is followed by an inspiring guest speaker. We would love to have new menjoin us. The Church filled almost 70 shoe boxes for “Operation Christmas Child.” They will be sent to needy children all over the world through the “Samaritan’s Purse” ministry. The Church will again be Christmas caroling on Sunday afternoon, either on December 16 or 23. There will be a Christmas Eve service on December 24 at 7 PM at the Church. Please join us at this Candlelight Service filled with Christmas carols and worship as we celebrate the birth of our Lord and Savior, Jesus Christ. 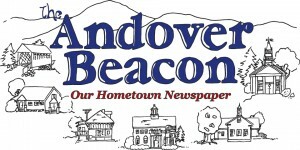 You are always welcome at the Andover Congregational Church. Feel free to call the Church office (603) 735-5160 to speak with Pastor John Wagner for more information on what’s going on at the Church or if you need help in any way. Our Church service and Sunday School begin at 9:30 AM every Sunday. May you truly be blessed this Christmas season and may the New Year be filled with joy and happiness!